In my article I surmised that what occurred in Grenada on 13 March 1979 was a coup d’état and not a revolution. I defined a coup d’état as an unconstitutional seizure of governmental power with or without the use of force. I defined a revolution as a complete overhaul of the existing legal order giving rise to a completely new one which new legal order is by and large endorsed by the bulk of the population. 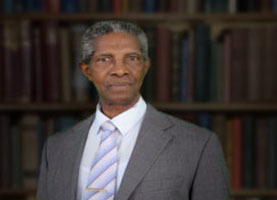 I supported my case by stating that there was no evidence either by way of general elections or by referendum to endorse a claim made by some that the bulk of the population in Grenada participated in or endorsed the unconstitutional seizure of power and rule by the People’s Revolutionary Government (PRG). Notwithstanding my analysis, I would be the first to acknowledge that some measure of good came out from the March 13th occurrence. Inter alia, there seems to have been a rise in nationalistic fervour immediately following the coup d’état; however in my assessment that fervour waned significantly in the later years of the PRG. I would also be the first to say that there should be general forgiveness for those amongst us who actively participated in the coup d’état and in subsequent events. In fact, my name is officially recorded in the Grenada High Court as giving full support to the application to practice law in Grenada by of one of the convicted persons in the Maurice Bishop murder trial. Indeed, some of these persons are presently making significant contributions towards the development of the society. The March 13th event in Grenada was historic. It is most important therefore that a proper and rational analysis be undertaken in order to prevent past mistakes from re-occurring. My analysis of the March 13th event suggests that if people continuously apply the term “revolution” to that event then this usage would send the signal that a vast majority of the population participated in or endorsed the event. There is no such evidence. It is important that there is a proper record of Grenada’s history. If this is not so, our youths who were not around at the time of that eventful period may be mindful to believe that the PRG’s usurpation of power was OK. It is quite understandable why some are bent on perpetuating the use of the word “revolution” instead of “coup d’état”. The word “revolution” sounds quixotic. “Coup d’état” sounds ordinary. The word “revolution” sounds romantic, adventurous and people oriented. The word “coup d’état” conjures up the image of aggression, illegality and unilateralism. The use of certain terminologies does impact significantly on the mindset of individuals. Hence the reason why some people choose to use the phrase “rescue mission” instead of the word “invasion” when they refer to the military intervention which took place in Grenada on 25 October 1983. Whilst the international community through the United Nations General Assembly regarded the military intervention as “a flagrant violation of international law” by a vote of 109 in favour, 9 against with 27 abstentions, the vast majority of Grenadians felt that they were rescued by the American-led intervention. Soon after the intervention, well-renowned political scientist, Dr Patrick Emmanuel and others of the Cave Hill Campus of the University of the West Indies conducted a survey in Grenada. The results were published in 1986 in a book entitled “Political Change and Public Opinion in Grenada: 1979–1984”. The survey revealed that 88.1% of persons surveyed were in favour of the US military landing, 10.9% were unfavourable and 1% had mixed feelings. 78.9% said that they were in favour because they were saved from Bernard Coard. It will be recalled that Coard is alleged to have been the mastermind behind the demise of the PRG. From the above analysis therefore it is rational to determine that people do care about the use of certain terminologies. Whilst there is a need for “understanding and healing” following those past unfortunate events, it is of utmost importance that adequate analyses of them be conducted for what they are worth. It is hoped therefore that the disappointment which was expressed by the anonymous writer over my article has now been stultified.